Since 1947 Lien Chieh Machinery (LCM) has been developing a wide range of specialized Mechanical Press Machines, such as our highly popular Fiber Cement Board Press Machines. Fiber Cement Board Presses use inorganic mineral to reinforce cement boards for tough industrial applications. Using a complicated process involving slurry preparation, board forming, stripping and curing, our Fibre Cement Board Press Machines efficiently produce high quality cement boards that can withstand weights of over 3000tons. These cement boards are commonly used in the construction of exterior and interior walls, and many other large-scale construction projects such as cinemas and theatres. With our expertise in the production of specialized Hydraulic and Mechanical Presses, customers can be assured that our machinery always delivers reliable and high precision results. 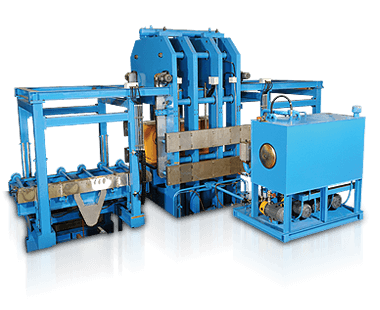 As LCM is a highly specialized Mechanical Press and Press Maker, we can offer customizable solutions for a variety of different applications. This includes adjusting the capacity, dimensions and bolster area of our Presses, such as for our Fiber Cement Board Press Machines.